The prior posts WCF : A Simple WCF REST (1) and WCF : A Simple WCF REST (2) show how we can create RESTful web service by using WCF. The posts explains all the steps for creating REST service which is good for educational purpose, practically we'd better use WCF REST VS project template. 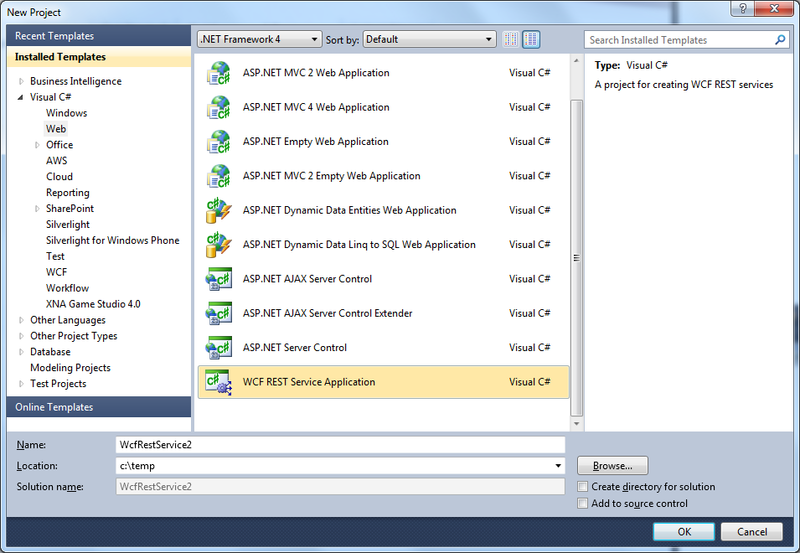 VS 2008 and VS 2010 does not have WCF REST project template by default. They are provided in Online Template which we have to download. So to get the template, go to Tools -> Extension Manager -> Online Gallary -> Search for WCF REST. 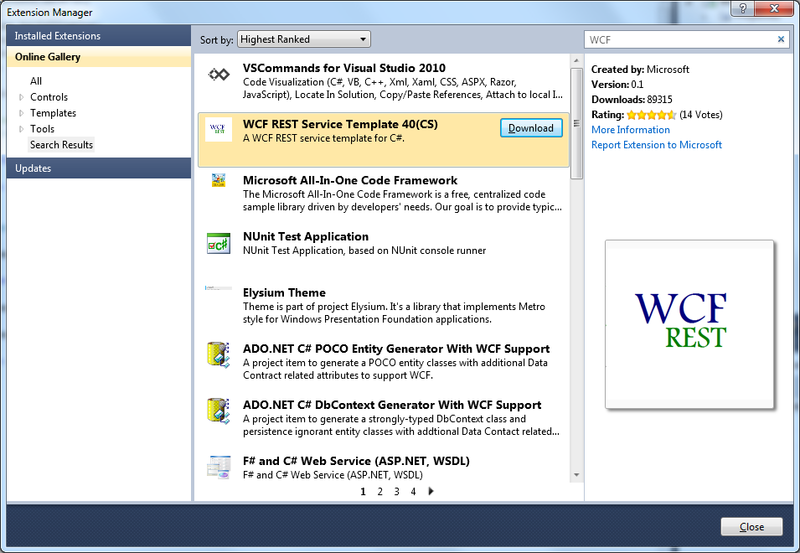 You will see WCF REST Service Template 40 (for .NET 4) and WCF REST Service Template 35 (for .NET 3.5). 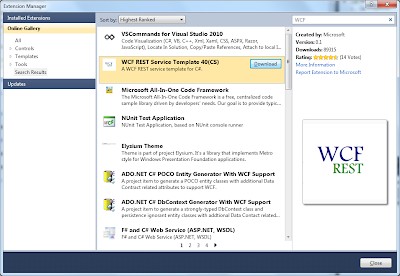 Download a template and then the project template will be shown in New Project -> Web -> WCF REST Service Application. 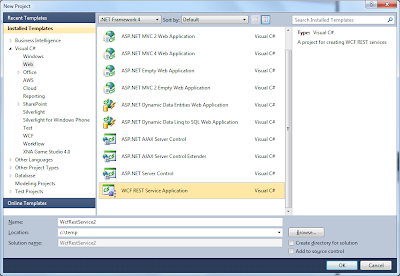 Below is VS 2010 template. Once a new project is created from the template, it has a Service1.cs (without IService.cs - the template directly used [ServiceContract] onto the Service1 class, which is legal) , already REST enabled Web.config, and Global.asax that already has REST routing. Here is a Service1 class that is generated from the template. // a single instance of the service to process all calls. Suppose we published this web service to localhost/app, then we can test http://localhost/app/Service1 to call GetCollection method. Online template by default sets helpEnabled to true in web.config. So http://localhost/app/Service1/help will show meta data information which is very convenient.